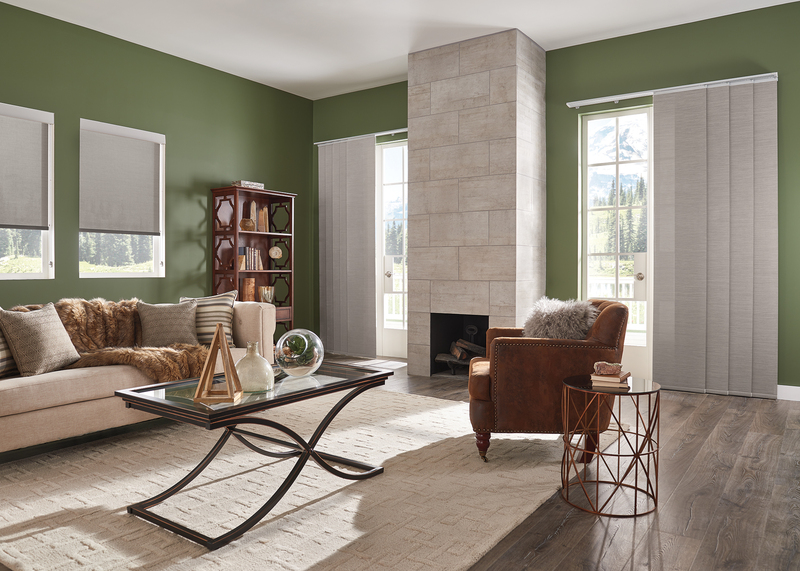 Interior Roller shades keep your cooling cost down during the summer by reducing the heat and glare from the sun. They also maintain your view and connection to the outside world. 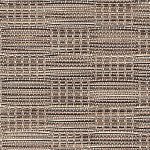 Easy operation, low maintenance and endless fabrics to choose from make these shades a great alternative to traditional window coverings. 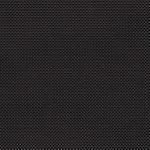 We also have translucent and blackout fabrics for interior roller shades. 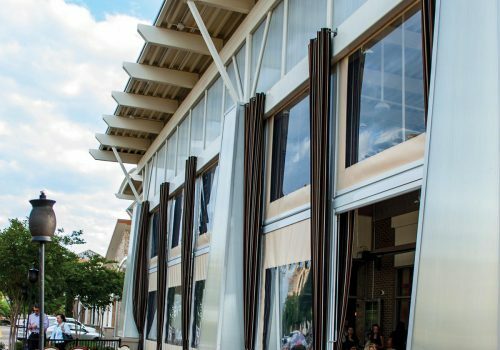 Motorized and Automated shades come in all types and styles, but function and operation are not all the same. 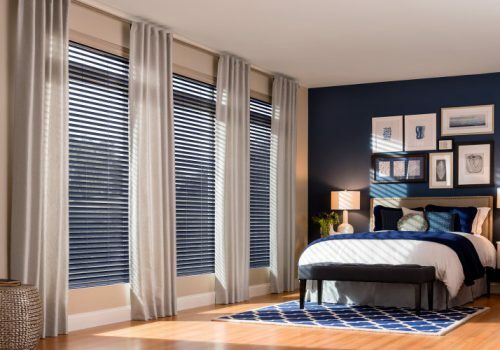 If you are considering motorized blinds, roller shades should not be overlooked. 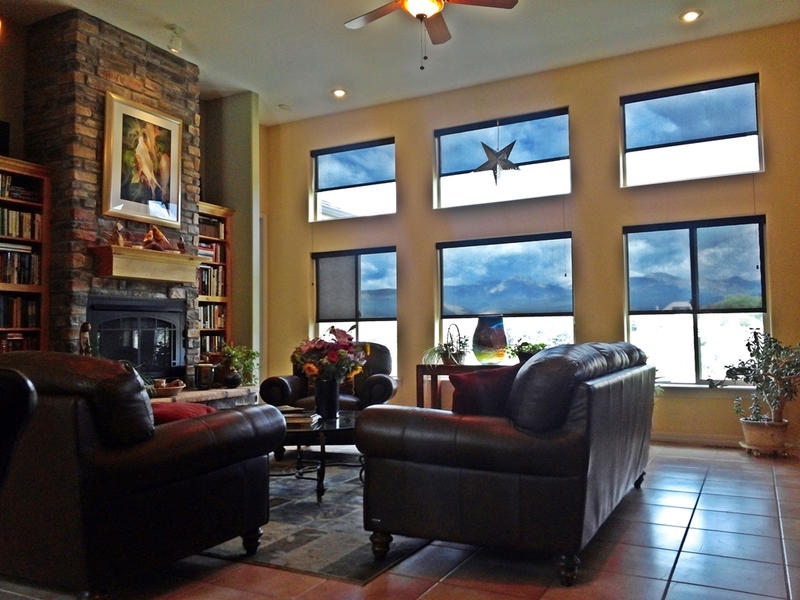 They are some of the best motorized window treatments out there. 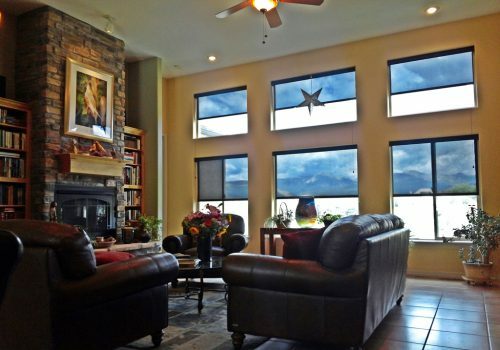 They look great and they will outlast many other types of motorized shades. 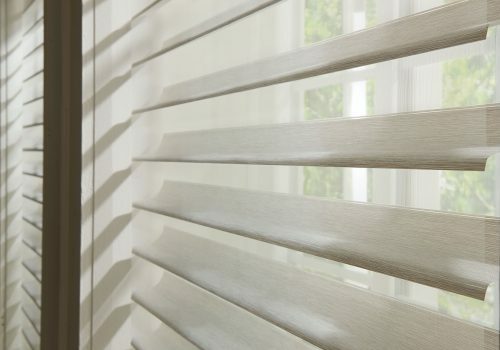 The roller shades have simpler mechanisms and design that have less that can go wrong with. 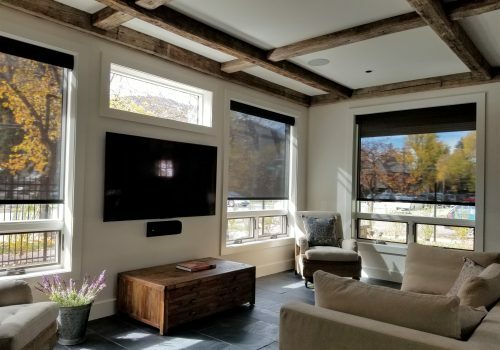 Like other motorized shades they can be operated with the touch of a button from a handheld remote, in-wall switch or incorporated into a home automation system. As safety and function become more in tune with window coverings, going cordless is a big step. The ease of operation, safety for pets and kids and sight of cords hanging all over the place are not the only reasons to go cordless. 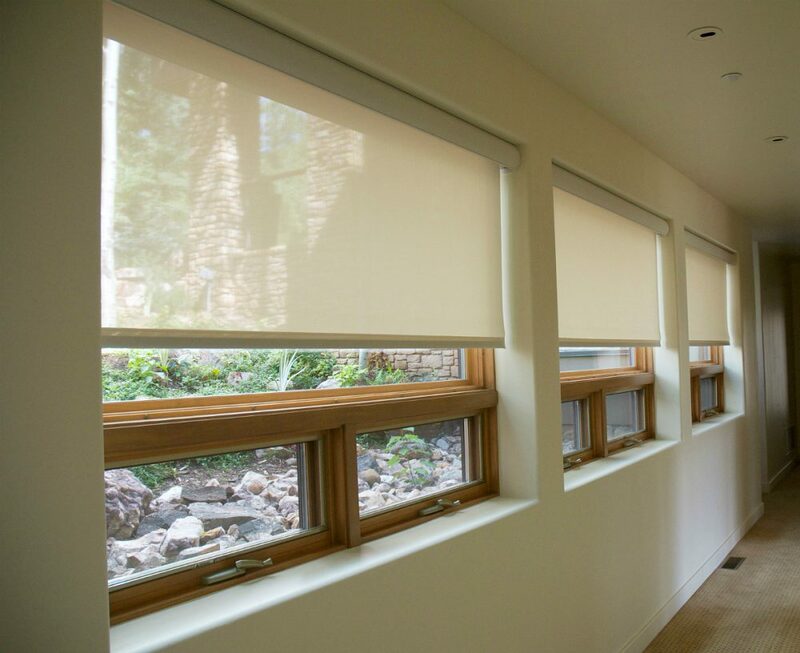 Cordless roller shades have adjustable tension control so you can control how fast the shade rolls up when you release it from the bottom. 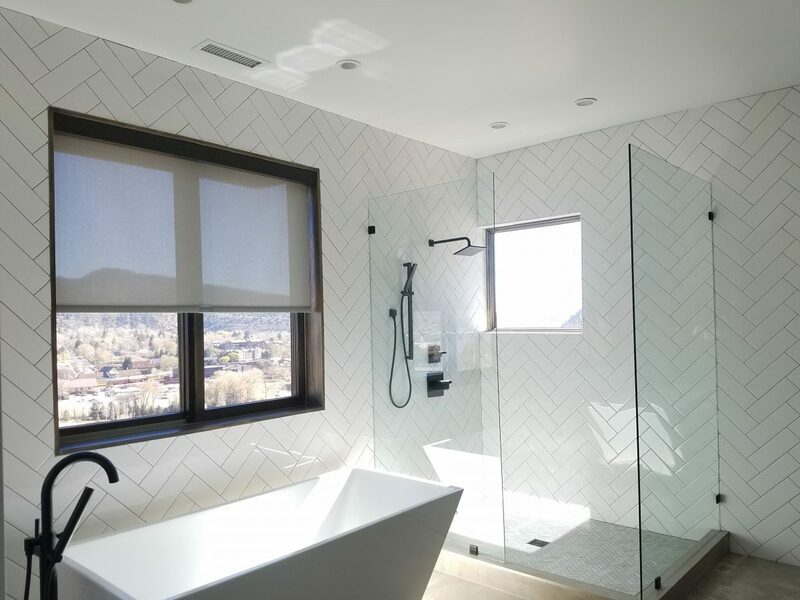 When you want a clean, smooth operation and no dangling cords, getting either cordless or motorized shades are the way to go. 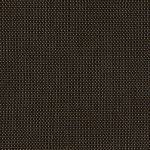 Sliding Panel Shades are a great option for sliding patio doors. 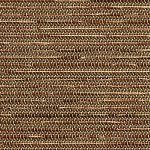 They bring matching fabrics to many of the roller shades and offer the same modern finish to the room. 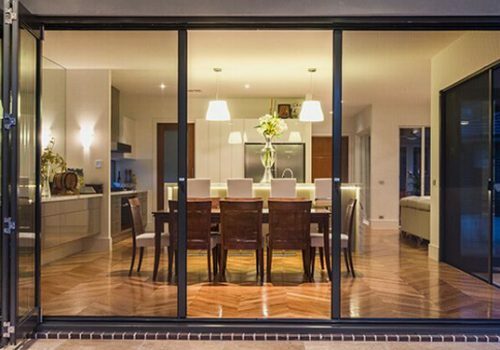 They are are nice shades for sliding doors because they slide back and forth in the same manner as the door. Open a little or open it all the way, the panels will always lay flat and have clean lines. 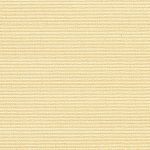 These sliding panel blinds are available in split draw or one way draw making them versatile for any function or decor. They can also be used as room dividers to help split off larger rooms, provide privacy or create a unique look instead of building a wall.